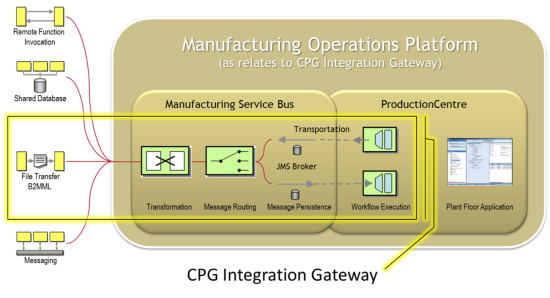 The Rockwell Software CPG Integration Gateway application aligns plant floor manufacturing information with business systems and the supply chain. Though pre-configured for SAP, its S95, standards-based, technology agnostic framework supports the wide variety of business systems and integration practices used in the majority of CPG manufacture's today. Service Oriented Architecture Plug and play connectivity providing robust seamless communications on a single platform. Our Rockwell Software solutions leverage Rockwell Automation's 100+ years of CPG innovation, experience and global support. Industry best practices are incorporated into every application, which are built upon a composite application framework that leverages our Manufacturing Operations Platform. This scalable solution, when combined with library-based content, offers personalization options that promote faster user adoption and time-to-value.